Take advantage of the ocean in Europa Universalis IV’s latest expansion, Mare Nostrum, which lets you control sea trade and flex your oceanic muscle from today. Paradox definitely make some of the best strategy games on PC. Mare Nostrum introduces new systems connected to naval warfare and control of trade. Depending on how many sailors your nation can gather, you will be able to amass powerful fleets, create trade leagues and a host of other things based around watery warfare. 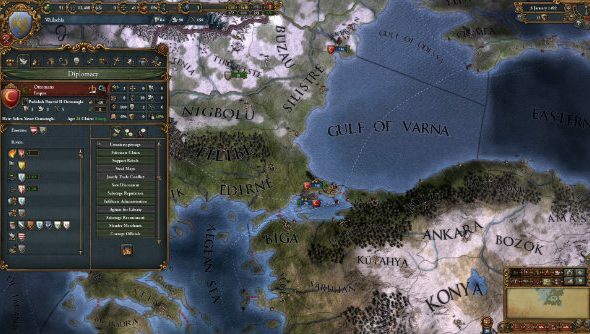 There are a bunch of new features, too, including map sharing – a diplomatic action that lets nations swap geographical knowledge – naval missions, Barbary Raids, Trade Leagues and Condottieri. The expansion is available now for $14.99, and you can find more details or even grab it over on the Paradox Store.